c/o Amantra Resort, 296 Moo 6, T. Koh Lanta Yai, A. Koh Lanta, Krabi 81150, Thailand. Instructors & Dive masters Anand Chandra Sekaran - PADI Staff Instructor - Full Time. Dalton Hopper - PADI Staff Instructor - Full Time. Wanchalearm Ruksrisuk - PADI OWSI - Full Time. Azman Sulaiman - PADI Course Director - Full Time. Mohamed Fashcarl (Skunk) - PADI Divemaster - Full Time. Lynsey Bartram - PADI OWSI - Full Time. Equipment Description Compressor - Bauer Mariner 200 - maintained and inspected regularly. Tanks - Catalina - Up to date yearly inspection / hydrostatic test. BCDs - Aqualung Wave - Great condition - fairly new. Large dayboat - Capacity 35 divers + up to 20 snorkelers. Read before you go Certification cards / temporary certification cards must be produced upon check-in. For PADI Divers, we can check your certification online. If you have any medical issues, please bring signed medical statement stating that you are fit to dive. Free airport transfer (Krabi airport) only included with diving + accommodation packages. 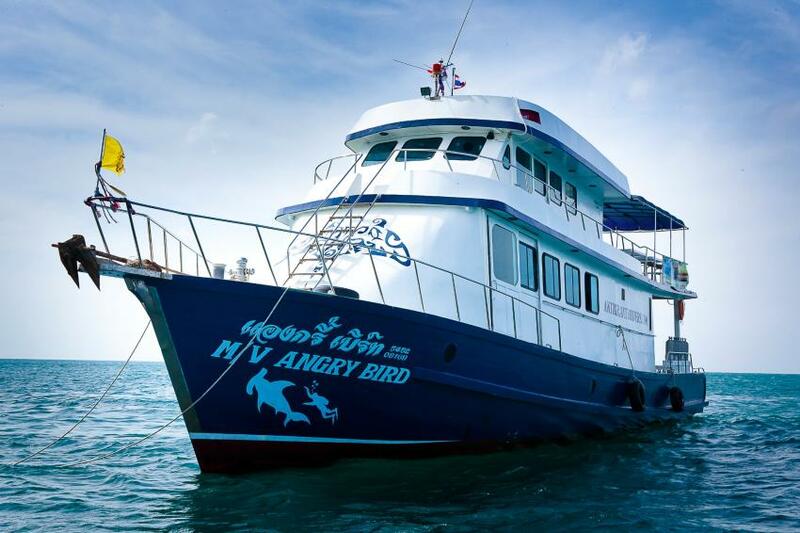 Free transfer from resorts and hotels anywhere on Koh Lanta to the dive center.